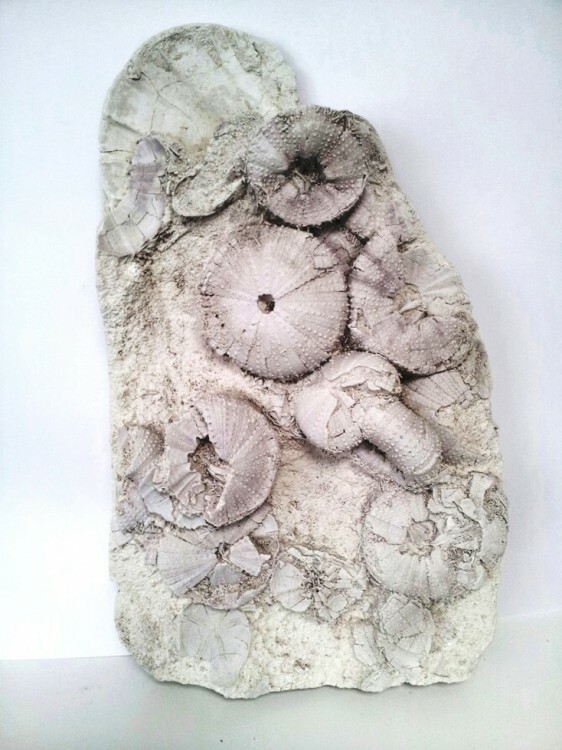 Pectens are still with us today, but these particular creatures have been frozen in time. 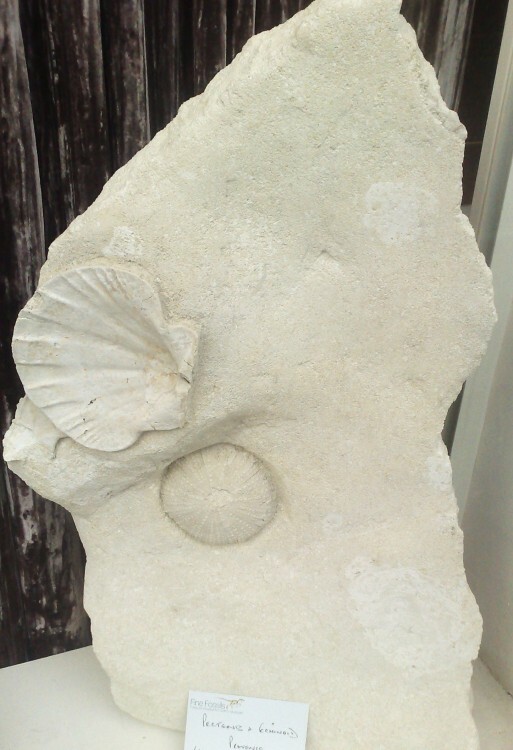 Fossils can no longer be collected from this site, so these are from slabs of limestone we purchased many years ago. 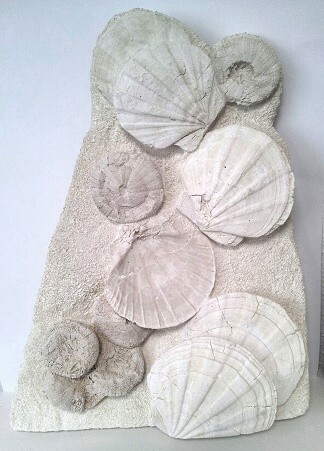 Because the collection site is closed they can only be an appreciating asset. Nothing can be seen until preparation begins, and we never know what we will find. 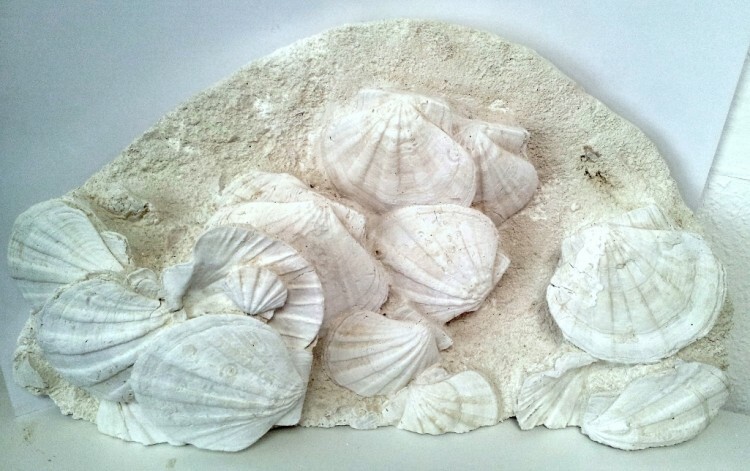 Sometimes many shells, and sometimes very few. 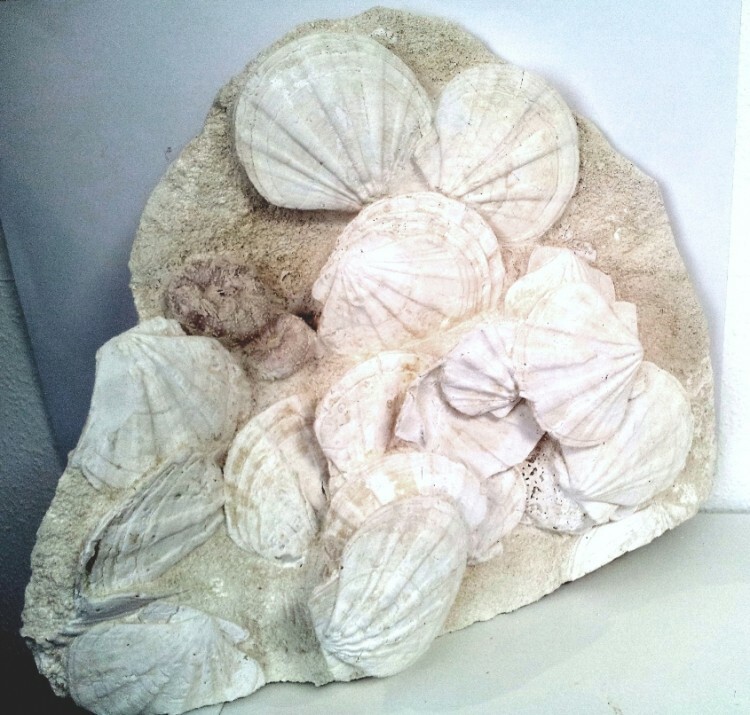 Free standing limestone slab sculpture, displaying perfect pecten shells & sea urchins. 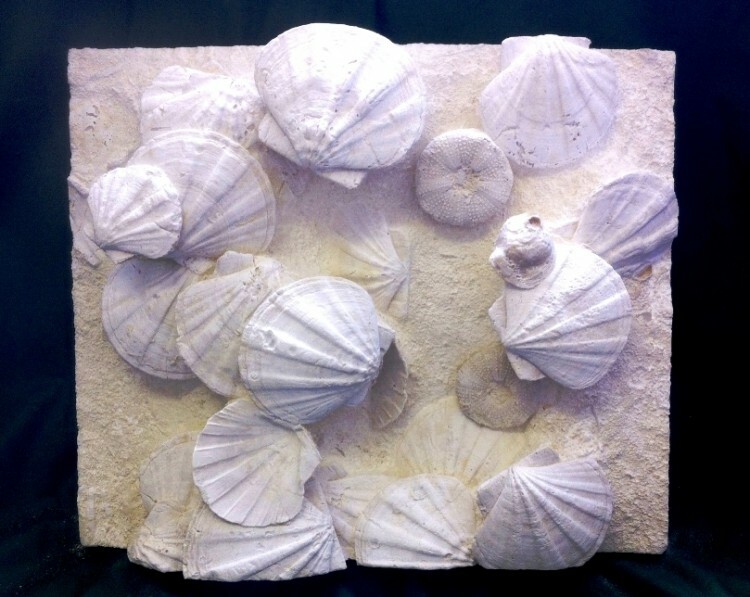 Free standing limestone slab sculpture, displaying perfect pecten shells, discovered in Provence.